"And the Arthur Ashe Award for Courage goes to the gold medal Olympian, Bruce ... excuse me, Caitlyn Jenner." And the crowd erupts in a standing ovation as a very confused, tormented, and unhappy man steps to the podium dressed as a prom queen to receive the coveted prize. Romans 1:18-32 gives a vivid picture of a society that willfully and knowingly rejects the word and ways of God. This type of society brags about their enlightenment and progressiveness while they ignorantly sit in the dark. They profess to be so wise, yet they are so utterly and completely foolish. They cheer the deceived and deceiving, and vilify those who are truly courageous--just ask American Sniper Chris Kyle's widow. Our once-great nation is sinking fast. The further we get from God and His perfect blueprint for marriage, family, and society, the further we plunge into degradation, ruin, and despair. And the irony is we think we are so smart, when in reality we can't distinguish arsenic from iced tea. It stands to reason when we wickedly discard the Author of right and wrong, we quickly lose all sense of moral direction. We fight for animal rights while marching for Planned Parenthood. We defend the indefensible atrocities of Mohammad and Islam while decrying the evils of Christianity. You are headed for trouble! You say wrong is right, darkness is light, and bitter is sweet. You think you are clever and smart. And you are great at drinking and mixing drinks. But you are in for trouble. You accept bribes to let the guilty go free, and you cheat the innocent our of a fair trial. You will go up in flames like straw and hay! You have rejected the teaching of the holy LORD God All-Powerful of Israel. Now your roots will rot, and your blossoms will turn to dust. I hope you are greatly bothered by the things going on around us. Righteous indignation is a good thing. Complacency is not. In fact, it brings forth death. The frog is comfortable, complacent, and oblivious in the water ... until it boils. But by then, it is too late. May God use what is going on in America to awaken sleeping, complacent Christians to spring into action! May we search our hearts and confess and repent of any sexual immorality, idolatry, dishonesty, greed, selfishness, and spiritual lukewarmness we have willfully allowed into our lives. Unless and until God's people get right with Him, there will be no revival in America. God is waiting for us to respond, to come clean, and to stand in the gap for the land. He says in Ezekiel 22:30, "And I searched for a man among them who should build up the wall and stand in the gap before Me for the land, that I should not destroy it; but I found no one." He found no one in Ezekiel's day. How tragic. I wonder who He will find in our day? P.S. 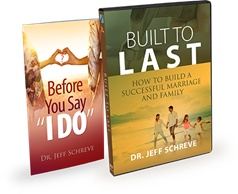 I would love to hear your comments at pastorjeff@fromhisheart.org.